In our current environment of water restrictions, diminishing resources, and rising costs, a properly designed, installed and maintained water management system is critical to your landscapes health and appearance. Over-watering can result in fungus issues, unwanted weeds and pests, and extra costs. Under-watering can result in root problems in your trees, shrubs, plants and lawn. High Quality Landscape Services can provide for all of your irrigation needs, including system design, installation and regular maintenance. 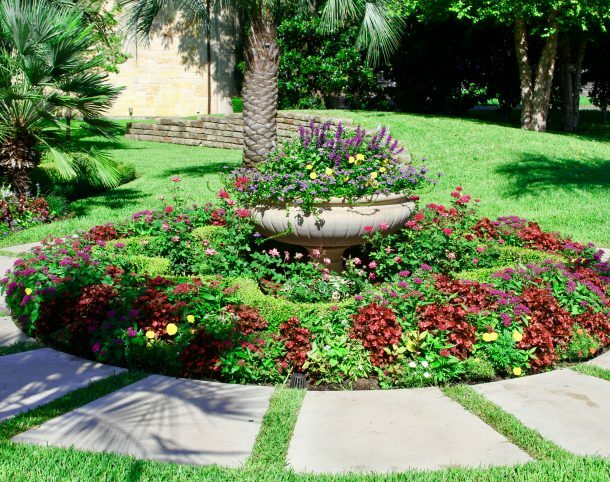 High-tech systems installed and maintained by our trained technicians will keep your landscape lush and flourishing while helping to reduce the impact to our environment. Whether your project is a residential upgrade, a new retail center or a public works project, you can count on the experienced and reliable team at High Quality Landscape Services to design and deliver your landscaping upgrade or construction project that exceeds your expectations. Let us turn your outdoor vision into a beautiful landscape.